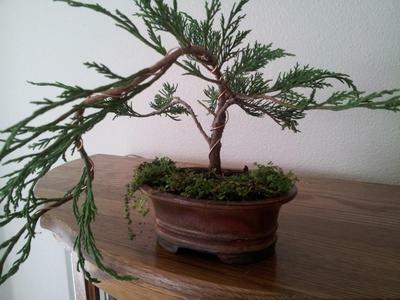 Hello, I have recently gotten into bonsai. I bought my first tree three months ago. 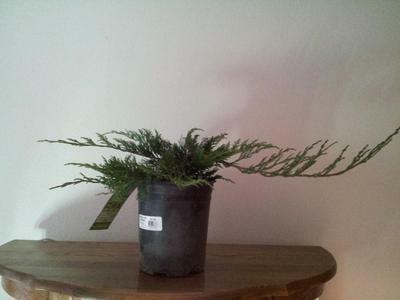 I recently bought this Chinese Juniper at Wal-Mart. Obviously not meant for bonsai. I thought it could be a beautiful cascade with some training and time. 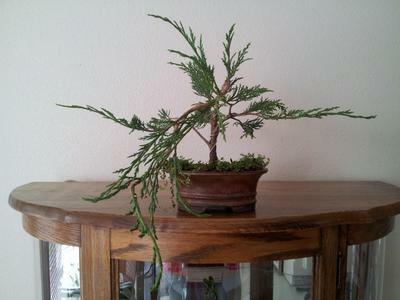 I have seen some Chinese Junipers, and they seem to be fuller, I know there are many types. Is this one just naturally bare or will it fill out? All comments and advice is greatly appreciated, I have thick skin so please don't hold back, however make it purposeful if you will. I know I am still very very new and have tons to learn, and what better way than bringing my trees in front of experts. So from the pot to the canopy please feel free to mentor a beginner.